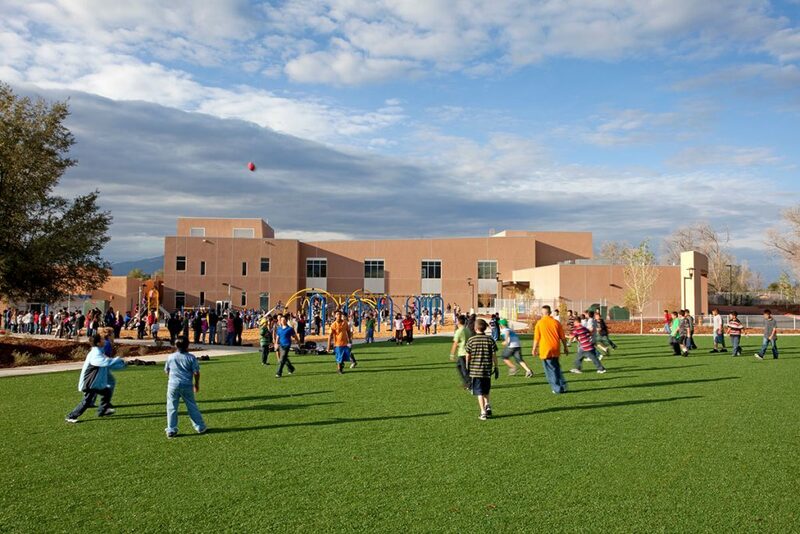 Serving grades 3-5 with a total student population of 650 students, Enos Garcia elementary school is located within the historic downtown plaza area of Taos, NM. 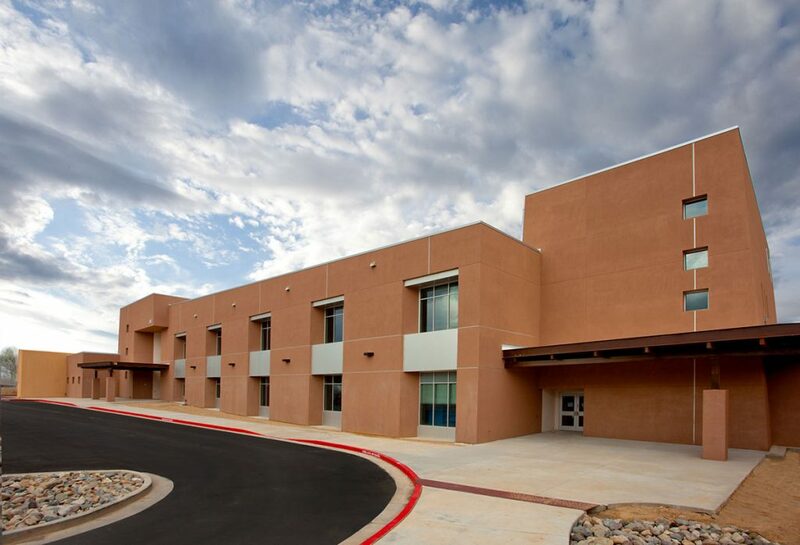 This two-story addition provided much needed classroom space, administration offices, health suite, occupational/physical therapy rooms, and a new library & cafeteria. 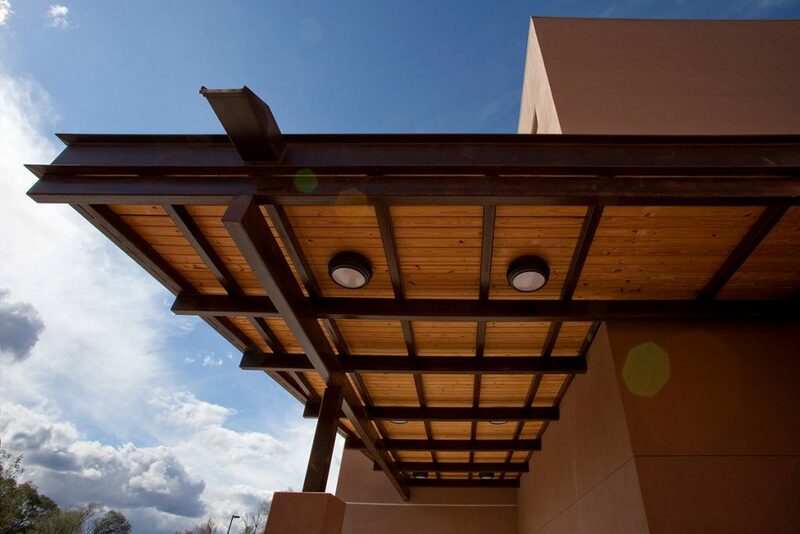 The project is fully funded by the 2008 General Obligation Bonds passed by Taos County citizens. LDG completed a thorough, campus-wide Master Plan in the summer of 2008. In the summer of 2009, Living Designs Group, in collaboration with Decker/Perich/Sabatini, was awarded the design contract via a rigorous, qualifications-based selection process. The project includes extensive site work, landscaping, and parking for 100 vehicles. 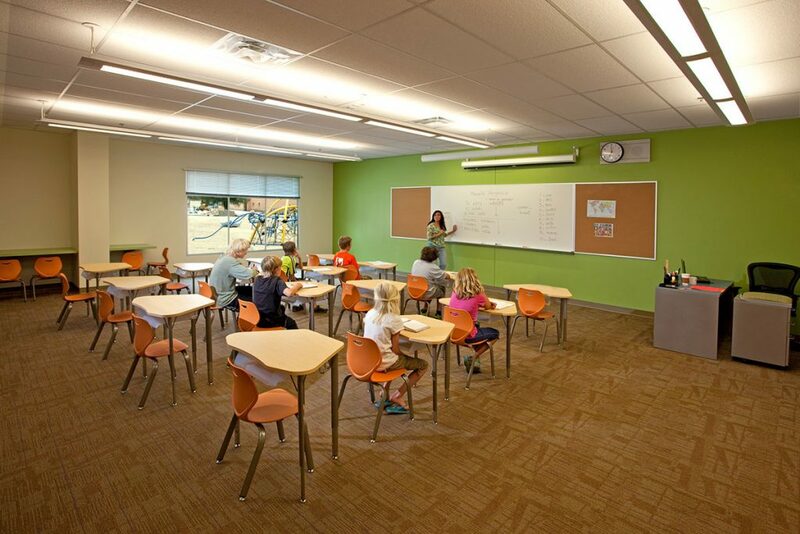 All classrooms have natural daylight, custom built casework, extensive phone/data/communications infrastructure, and highly efficient HVAC systems. 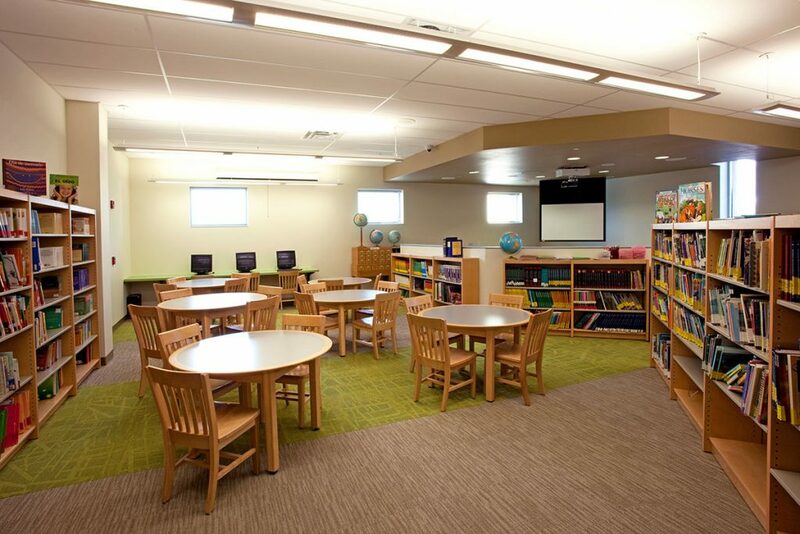 The Floor Plan is designed to accommodate after-hours community functions (within the Library & Cafeteria) without compromising access to the academic spaces. 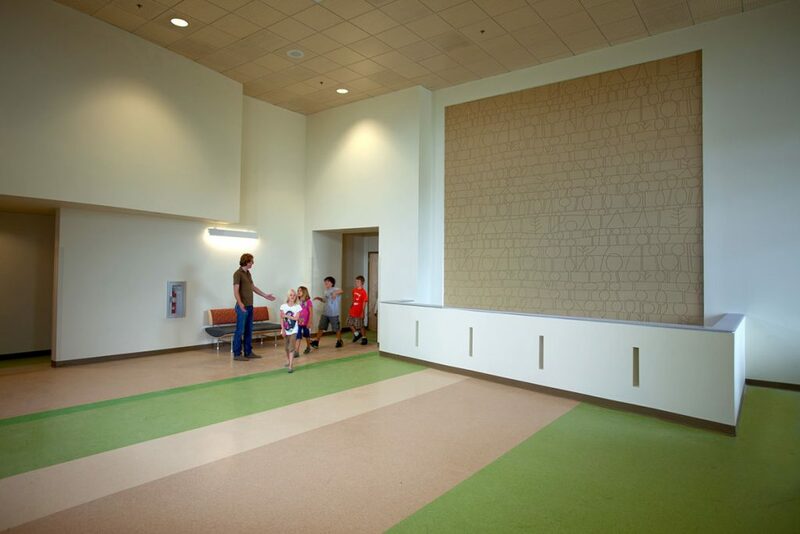 A unique three-dimensional “art wall” has been designed as an integral feature of the main entrance lobby.